In the middle of the holiday season I’m often compelled to make new things. 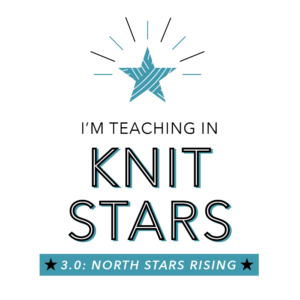 It will be 9 at night and I’ll think…I just need to knit a little gift. I usually rely on old favorites this time of year, my wee stable of quick knits. Here’s a list of 5 of my favorite tried and true things. The quickest cutest hat of all! Susan B Anderson’s Acorn Hat. 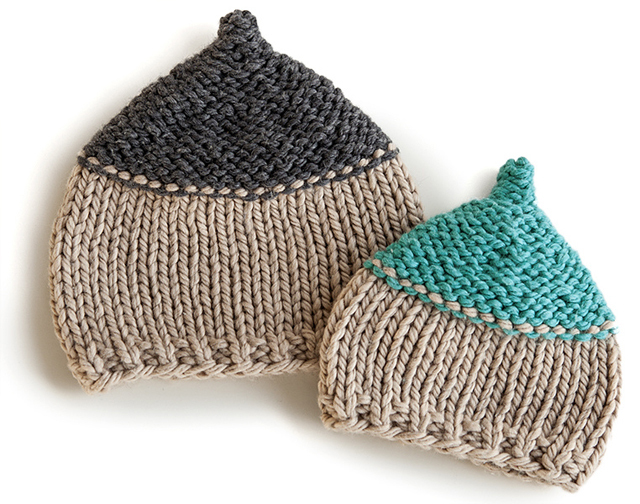 Made with super bulky yarn, you’ll only need an evening to whip one up. Sized for newborns all the way up to adults. 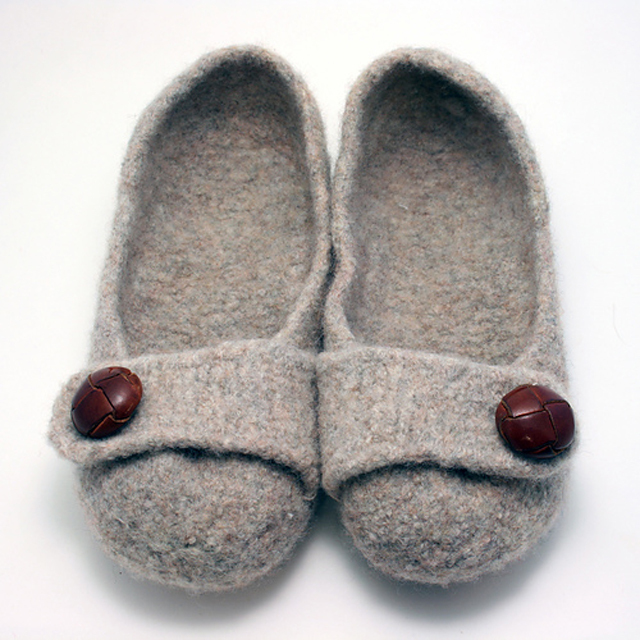 Melyinda Bernardi’s French Press Felted Slippers. I just had to include these, they aren’t just my favorites, there are over 6 1/2 THOUSAND of them on Ravelry. My daughter loves to make them and can complete the knitting in about two hours. Admittedly the sewing can be a little fussy, so set aside more time for that, but isn’t sewing near the top of our wanna-do crafty pursuits? How about a last minute gift for yourself… got a few yards of some luxury yarn lying around that you never knew what to do with? 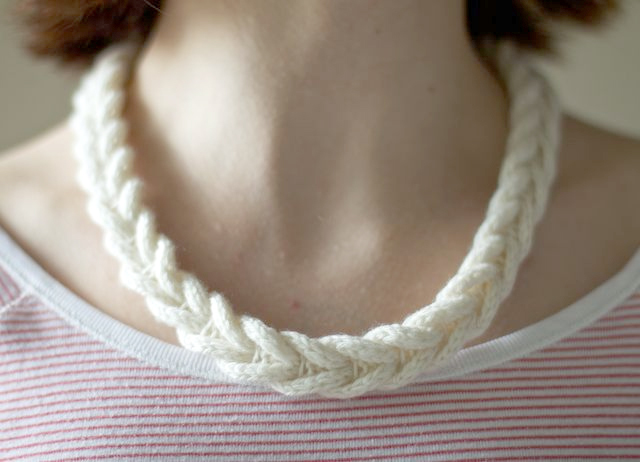 Knit it into jewelry that you can wear to the holiday parties! Try design genius Olga Buraya-Kefelian’s Cable Braided Necklace. 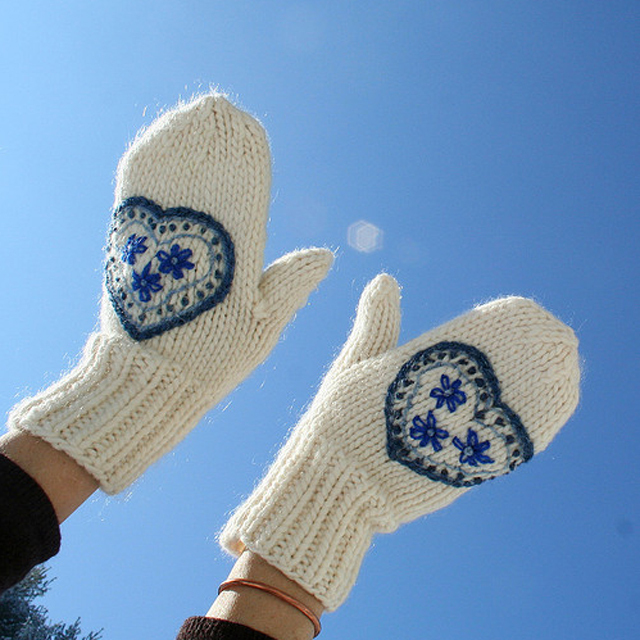 My own Instant Mittens. Stash busters! Made with bulky yarn or two strands of random yarn that add up to bulky, or close to it – I really like to add a strand of mohair. I decorate these all kinds of different ways, but the plain ones are pleasing too AND SO FAST AND EASY TO KNIT! Ok we don’t have to make ALL our gifts. 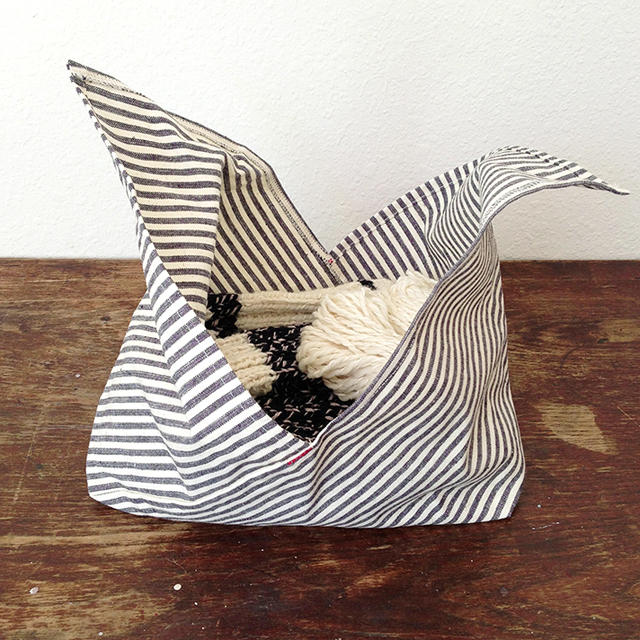 Take a peek at Fringe Supply Co.’s carefully curated selection of “nice things for makers”. I saw the Bento Bag in person when proprietress Karen was in my class, it is irresistible so I’m ordering several so you better get cracking because things sell out fast here folks! What about you? What are your go-to gifts for the holidays? Nice selection- how did I not know about those acorn hats? Totally making a couple. I know, Susan designs the cutest things. The acorn hats are irresistible.